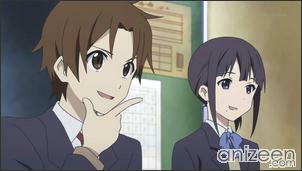 Taichi Yaegashi, Iori Nagase, Himeko Inaba, Yoshifumi Aoki and Yui Kiriyama are all high school students. They are all a little bit peculiar and have well defined personalities. They all attend Yamaboshi Academy, where all students have to enroll in a club after school time is over. But these guys are not fit for an exisiting club. Taichi loves pro-wrestling, Iori has a care free attitude but deep inside she carries her own issues. Meanwhile, Yui loves fancy and cute things, Yoshifumi tried to enter the Player’s club, but that doesn’t exist at all and finally, Himeko, a serious girl had problems with the computer club and left. Anyway, they all gather to form the Cultural Research Club, and hang one together on a regular basis. One day, Yoshifumi wakes up estranged with a dream he had, or at least that’s what he thinks. While he is taking breakfast, he sends a message to Yui to tell her about it and somehow it seems that she also had the same experience. In the middle of the night, both woke up and found themselves in a different room. 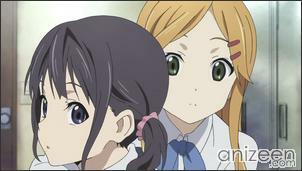 Yoshifumi looked closely and saw Yui’s face. After some minutes, both switched back and return to bed, hoping this was just some sort of dream. At the Cultural Research Club they shared their story with the rest of the members, but somehow, it’s hard to believe they had such experience. Specially Himeko is skeptical and refuses to believe them. 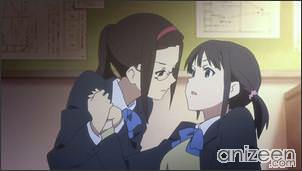 In the time being, Iori decides to look after a notebook to the classroom. 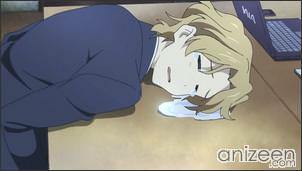 Once there, something happens and now Taichi finds himself in Iori’s body. For a high school student this is so sudden and almost panics. 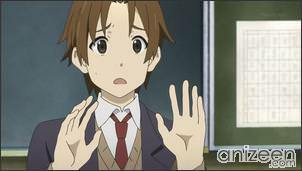 Iori, in Taichi’s body runs to catch up and both return to the Cultural Research Club. 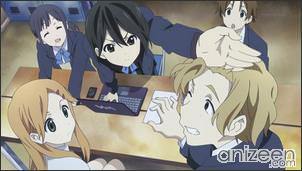 There, Himeko thinks they are all making some sort of joke. But due to their personalities, she thinks it’s hard to play the role with such perfection. Himeko has no doubts and ask them really personal quuestions to find out if they are telling the true. Once they accept the fact that they seem to change bodies, Iori and Taichi switch back to their original bodies. With the dawn coming, they all return home and think it’s better not to tell anyone about the whole experience. But now they don’t know if this was a onetime occurrence or if it might happen again in the near future. Taichi Yaegashi is a big pro-wrestling fan. He and four others formed the cultural club because their school did not have the club they wanted to join. He is generally selfless and will usually try to help others in need. 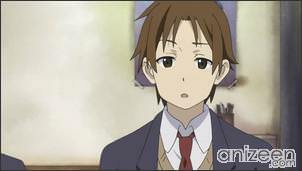 He appears to care for Inaba, despite being in love with Iori. 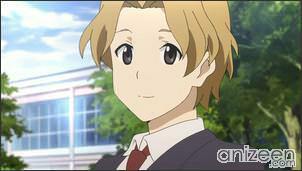 Iori Nagase is the easy going president of the cultural club. She lives alone with her mother, who had been remarried and divorced several times. Having previously had a violent stepfather, she had learned to alter her personality to fit the expectations of others to the point where she is unsure who she was originally supposed to be. She is in love with Taichi, but decides not to date him due to the phenomena the group is facing. 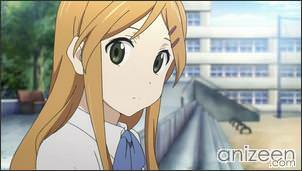 Himeko Inaba is the vice president of the cultural club, who has a contrasting personality with Iori. She often reacts violently to Taichi or Aoki’s jokes. She was a computer club member but quit after having an argument with the president of that club, and then joined the cultural club. She is generally distrustful of others and worries a lot, even more so when they begin swapping bodies. She appears to have feelings for Taichi. Yoshifumi Aoki is Taichi’s best friend with whom he often shares adult videos. 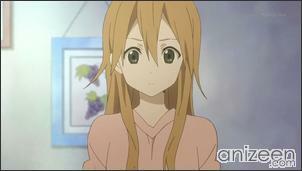 While having a non-serious attitude, he loves Yui and does not hesitate to show it seriously. 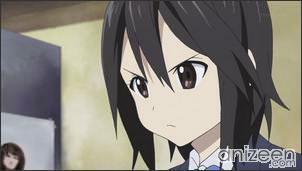 Kokoro Connect (ココロコネクト) is a Japanese light novel series written by Sadanatsu Anda, with illustrations by Shiromizakana. The first volume was published in January 2010, and seven volumes have been released by Enterbrain as of February 2012. 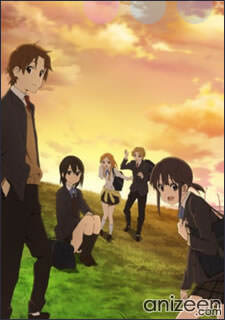 A manga adaptation titled Kokoro Connect Hito Random illustrated by Cuteg began serialization in October 2010. 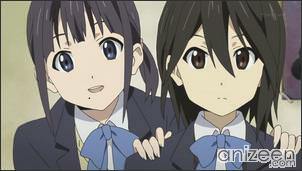 An anime adaptation directed by Shinya Kawamo and produced by Silver Link began airing in Japan in July 8, 2012.